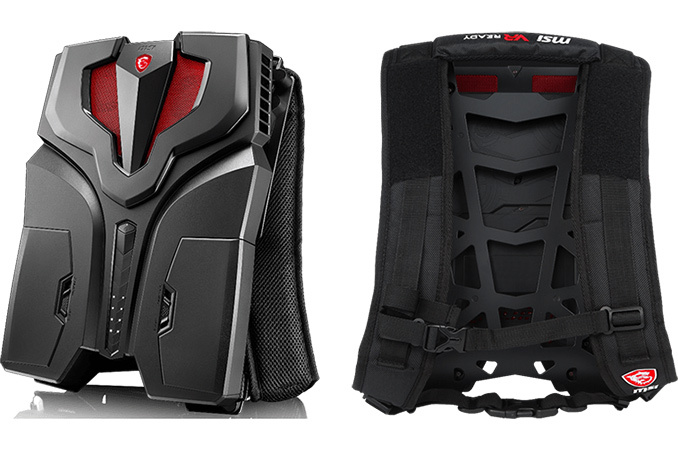 MSI has started to sell its VR One backpack PC designed for virtual reality enthusiasts. The MSI VR One system is now available in the US, and comes equipped with an Intel Core i7 and an NVIDIA GeForce GTX 1060/1070. The backpack promises to pack a lot of performance and can even be overclocked. However, the combination of high FPS and a relative freedom of movement is going to cost: the system starts at $1999. MSI’s VR One backpack PCs rely on the company’s expertise in mobile computing and high-end notebooks. The VR One systems are based on the Intel Core i7-6820HK (4C/8T, 2.7/3.6 GHz, 8 MB LLC, 45 W) processor with an unlocked multiplier as well as NVIDIA’s GeForce GTX 1060 6 GB (VR One 6RD) or GeForce GTX 1070 8 GB (VR One 6RE) GPUs. The key components of the backpack are cooled down using an MSI proprietary cooling system featuring nine heatpipes and two blowers that ensure that the CPU and GPU never overheat even if overclocked (the HM170 chipset supports CPU overclocking). 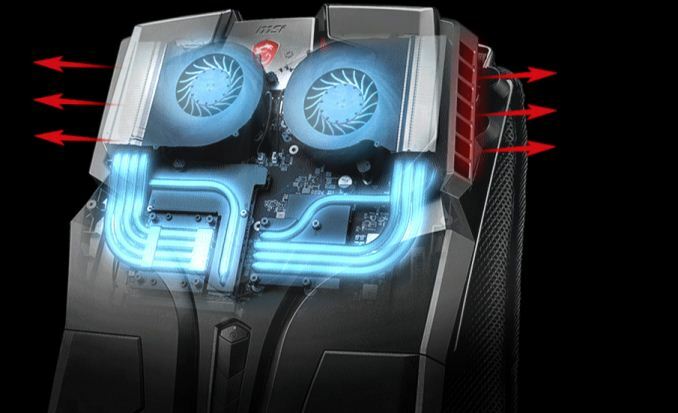 In fact, MSI even supplies its special Shift application that allows the user to boost both the compute and the cooling performance with just a few clicks. The system comes equipped with a 256 or a 512 GB M.2 PCIe 3.0 x4/NVMe SSD with up to 2.2 GB/s read performance and have another M.2/SATA slot for an additional drive to install more gaming titles. No spinning HDD is equipped by default for obvious reasons. One of the key things about VR gaming backpack PCs is connectivity. The VR One features all the ports needed to connect a VR headset like the HTC Vive with the ports right on top. To simplify connection of the Vive, MSI even supplies a special 3-in-1 cable with HDMI, USB 3.0 and power wires. Moreover, the system packs the Rivet Networks Killer 1535 Wi-Fi 802.11 ac + Bluetooth controller as well as Intel’s Alpine Ridge controller to enable one USB-C/Thunderbolt 3 port. The whole design of VR One’s motherboard resembles the design of MSI's gaming laptops, which helps to make the PC relatively thin (54 mm) and relatively light (3.6 kilograms). Meanwhile, two hot-swappable batteries enable MSI’s VR One to work completely autonomously for about 1.5 hours each. 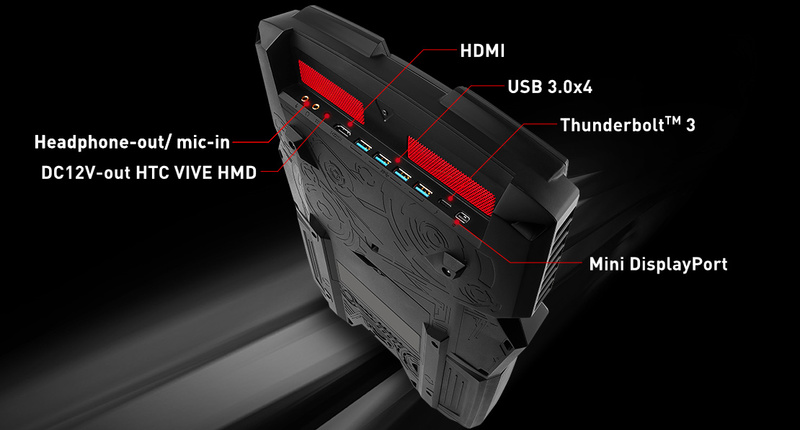 In fact, the whole outside design of the MSI VR One is optimized primarily for backpack, not desktop operation (unlike ZOTAC’s VR Go). While the VR One can be put on a desk, it will have to lie down, making its ports less accessible. So, the VR One is a system made primarily for virtual reality gaming, not for general-purpose computing. Right now MSI offers the VR One 6RD with the GeForce GTX 1060 and a 256 GB SSD for $1999 in the U.S. The more advanced VR One 6RE with the GeForce GTX 1070 and a 512 GB SSD will be available a little later for $2299. They should manufacture pads and straps that you can mount on your laptop (maybe throw in a fan or two) for less than $100 and hold down the screen. So much more worth than this contraption.